Discussion in 'South Asia & SAARC' started by zebra7, Oct 22, 2017. The Chinese have their own psyche, with many layers — traditional, experimental and flexible. The traditional is the Chinese conviction of their centrality in world history; experimental is muscle-flexing in both land and sea through its newfound economic status, and flexible is its geostrategic and geopolitical angularities to conquer the world with cash, and subjugating foreign rulers through bribes and trade. 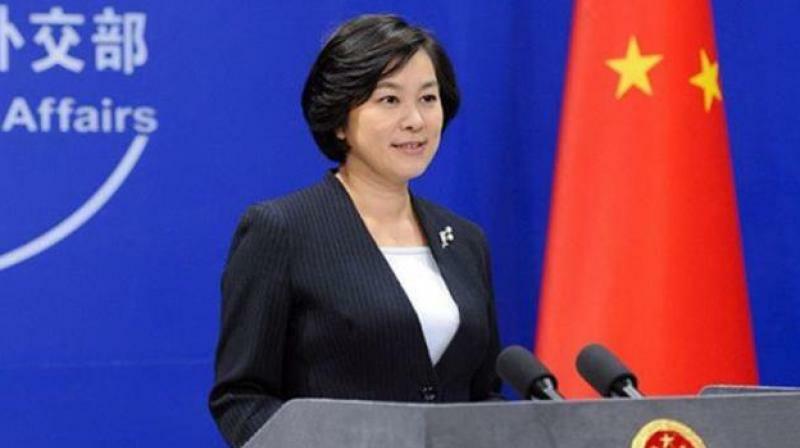 No sooner than Japanese Prime Minister Shinzo Abe had left India last month after a hugely successful bilateral visit that Chinese foreign ministry spokesperson Hua Chunying was at it, flexing her country’s economic and military muscle. Obviously nudged by her superiors, she warned that foreign investment in India’s border states and remote areas (obviously those adjoining China) would be unwelcome. While at one level this is laughable, yet it’s still a direct psychological assault by a third party. China’s unwarranted poking into the affairs of another country can be explained only by its desire to ensure that Indian terrain adjacent to Chinese territory remains chronically underdeveloped, backward and poverty-stricken, giving Beijing a chance to slyly instigate unrest through clandestine means, as it has done for many decades in India’s Northeast and even states like West Bengal since the 1960s. This would help in China’s slow, steady, silent usurpation of territory, referred to as “salami slicing” around the Sino-Indian border. Thus the more the resentment, dissatisfaction, frustration in India’s investment-starved eastern and northeastern region, the easier it becomes for Beijing to foment trouble. It is the ideal way to catapult a rival to capitulate and win the psychological battle without even a shot having to be fired. The Chinese would like nothing better than an adversary like India being kept constantly busy tackling a civil war-like situation on its soil, rather than being able to focus on unitedly taking on (non-Indian) outsiders. Will it be incorrect to suggest that China is desperate to hijack and develop Prime Minister Narendra Modi’s slogan of “Sabka saath, sabka vikas”, and turning it to its advantage, through its overambitious initiatives like BRI/OBOR/CPEC that involve “67-plus foreign nations” across the great Euro-Asian terrain from Beijing to Belgium, Karachi to Korea? What exactly then made the Chinese raise this ludicrous undiplomatic objection to “any foreign investment” on Indian soil, including presumably by Japan, in “disputed areas” in the Northeast. And the added line that the “boundary of India and China border area has not been totally delimited... We have disputes on the eastern section of the boundary”. Interesting, hollow, yet fascinating verbal pearls of unwisdom. Some questions, however, need to be put to the Beijing spokesperson. First, if China is “opposed” to “any foreign investment”, does this include China as well? Since China is a “foreign country” in India, why is it investing in this country? Why is Oppo opening retail shops across India? Why are Indian mobile handset factories closing down and Chinese-made handsets selling all over India? Is China trying to replace Japan in the Northeast? Second, not long ago, when the Brics summit was held in Xiamen, Fujian, China and India, along with partners Brazil, Russia and South Africa, decided not to let “border disputes” come in the way of economics and commerce. If so, why the volte face? Why is a multilateral agreement turning into finger-pointing, to the detriment of bilateral relations? Why are both Beijing and New Delhi trying hard to keep all this under the carpet? Third, which “third party should not meddle” in the Sino-Indian dispute? Who is interested in meddling in the Himalayan problem? Does China think Japan is desperate to enter the Northeast today? To counter the Chinese through the Brahmaputra? And that Japan’s fortunes lie in meddling in the Sino-Indian border dispute to corner Beijing? Does not China know that the Northeast is simply Indian territory? So how can China sermonise us to stop investment in the region? Is Beijing angling to annex India’s Northeast? China often tends to forget it is a “people’s republic” and still in name a Communist nation, though of course it is all but capitalist in fact. Are not “Communists” supposed to be “above the fault lines” of religion, nation, nationality and language? What China is doing today is the antithesis of Communist ideology! Fourth, if China is so “opposed” to “investment” by “third parties” in a “disputed” territory like Northeast India, it needs to put its own actions under the scanner, particularly in Jammu and Kashmir. Dear Ms Hua Chunying, please go through the diplomatic documents of your country and quit Pakistan-occupied Kashmir (PoK) immediately. Since both Japan and the United States have adversely referred to your shenanigans, please return the territory of Jammu and Kashmir state of India which Beijing had illegally usurped in the 1950s by force. Leave India-Pakistan bilateral issues to the diplomats and political leaders of New Delhi and Islamabad. You, as a third party in J&K, makes you a most unwanted, undesirable and obnoxious actor. Stop your mala fide intrusion through Gilgit-Baltistan, as they belong to India, but were illegally captured by Pakistan, making your CPEC project absolutely unwarranted and illegal. That is the least you can do to ensure future good relations. Hope you will gracefully accept the suggestion and sagaciously take things in the proper perspective and proper spirit of Panchsheel which, of late, Beijing too has been heard to murmur fancifully. Your experimental and flexible policies are not working — you may be tactically victorious but strategically your devious policy of capturing India’s economics and commerce are bound to end in a ludicrous fiasco. Dear Ms Hua Chunying, India is too vast to be dealt with bribes. Please amend your ways and resume normal bilateral ties. Do not sabotage as well as play charm-offensive in the same breath. Your words today remind us of a dialogue in the 1965 Bollywood blockbusterWaqt. “Chunoy Seth, jiske ghar shishe ke ho, wo dusro ke ghar patthar nahi marte” (Mr Chunoy, those living in glass houses must not pelt stones at others). An Indian and Angel Eyes like this. Two urgent questions. Need to answer by tomorrow's evening.